The past two weeks have flown by. 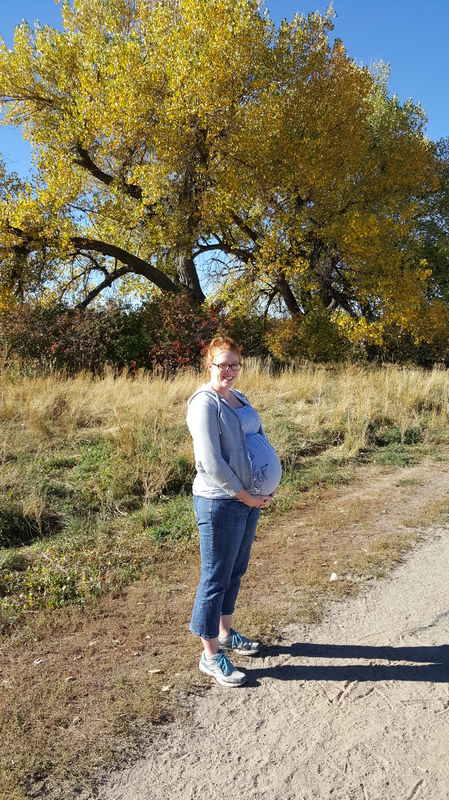 At my 35 week appointment, Thursday October 15, babies were doing great but little boy was back to being breech and I was a little sad, but knew my doc would deliver him that way as long as little girl stayed head down. She has been comfy that way the entire pregnancy! He was estimated at 6lbs 3oz and she was at 5lbs 9oz, although that’s probably low because it was hard to get a measurement with as low as she is. She also informed me that I was dilated to 3cm! WOOT! She was certain I would go into labor that weekend. It was then that she informed me that the hospital I am planning to deliver at is no longer in-network with my insurance. This began a very chaotic afternoon of phone calls, faxes, and another trip back to her office. My IM and I were frantically trying to figure out how to get everything sorted out with the hospital I want to deliver at as there was no way to change hospitals with me so close to delivery. We had done the hospital tour, filed the surrogacy and parentage paperwork with the hospital, and they already have our birthplan on file. With me about to deliver, switching hospitals would be a complete nightmare. My doc does have rights at another hospital, but I know nothing about that hospital and whether or not it is surrogate friendly. Not to mention it’s 45 minutes from my house! So, finally, after about 3 hours of frantically calling insurance and the hospital and the doctor, we were able to file a Continuity of Care form and I received pre-approval to still deliver at my chosen hospital. (After all the chaos, we learned it wasn’t even necessary as I had been approved to deliver there in June, while the hospital was still in network.) Ugh. Whatever. At least we all knew that when I go into labor I have a place to go. Luckily, despite all the contractions I had that weekend, I did NOT go into labor. Then, Tuesday comes and I get a phone call from insurance. She informs me they received my Continuity of Care form, but since my doc has rights at another hospital I would most likely need to deliver there, but either way it takes up to 15 days for approval. I was like WTF?? 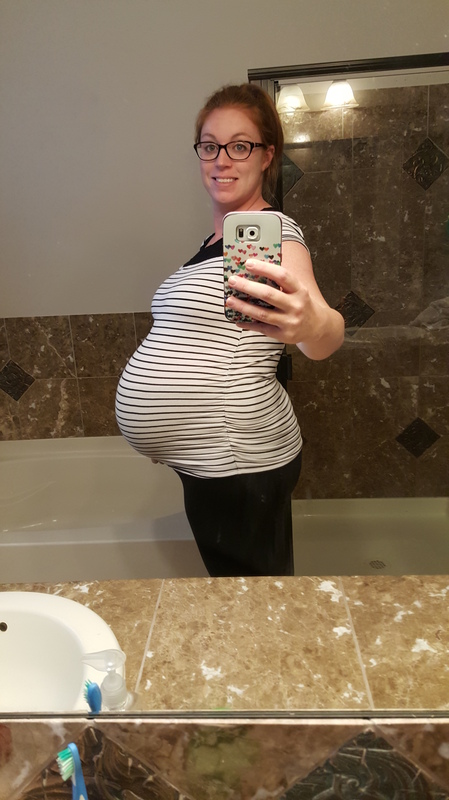 I tried to explain our situation about being a surrogacy and not having any of the paperwork (which took weeks to get filed at the other hospital) filed with the new hospital, plus the drive time from my house. She informed me that according to her maps, it was only a 13 minute drive to the other hospital. I wanted to punch her in the face. I’m pretty sure I know where I live and how long it will take me to get to the hospital and that’s if my husband is home. If he is at work and has to drive home to take me to the hospital that adds an additional 30 minutes to the time. What if it was an emergency and I needed to get there quick? I couldn’t call an ambulance because they would take me to the hospital that is no longer in network (because it’s 10 minutes from my house!) So I asked what happened if I went into labor that night and went to the original hospital. She just said it may not be approved and then we’d be responsible for the bill. She told me she would try to rush the form since we were so close to delivery, but I should plan on going to the other hospital until I had approval. I hung up and instantly started sobbing. I was in shock. I didn’t even know what to do or how to proceed or anything. How can they tell someone who is 36 weeks pregnant to pick a different hospital?? I was trying to catch my breath and calm down to call my case manager when insurance calls me back. She was like oops, just kidding. I read your file and see that it was actually pre-approved back in June. I was so mad hanging up. I knew this was what had happened Thursday as well. If the first person I had called (because I talked to 6 different people between all my calls, not to mention the calls made by my case manager) had just read my file and seen the approval, all the stress could’ve been avoided. I’m lucky all that chaos didn’t put me in labor! So, the lesson from all of this? DO YOUR RESEARCH! Especially if you are in some sort of customer outreach position. Read the customer’s file. Make sure you know ALL the information BEFORE you call the customer who is 36 weeks pregnant with twins. I had another appointment yesterday, October 22. I was 36 weeks 1 day. My doc was surprised I was still pregnant. I was like “you and me both, sister.” I have been waiting and waiting for labor to start as I have been miserable this week. I am so beyond uncomfortable with how low the babies are sitting and I have had a head cold all week. They didn’t do any measurements on the babies, but we did see that little boy is back to being head down with his sister, she really just wanted to check my cervix. It was still at 3cm. I was disappointed. If I get to 4cm, she sends me to the hospital to have babies! I thought for sure it would be at least a 4 because I have been having contractions almost every night but those darn things just won’t get regular. She tried to stretch my cervix a little while doing my physical exam (it’s not a comfortable feeling) but she wasn’t very aggressive with it. She started to tell me that if I made it to my next appointment she could be more aggressive to see if that would help labor, but I must have made a face at her because she immediately revoked her question. She asked “how does Monday sound for a birthday?” My IM and I both agreed it would be perfect. So, if I don’t go into labor on my own this weekend, I will go in for a physical exam on Monday morning and I’ll either be at 4cm and get sent to the hospital or I won’t be 4cm and she will induce me. I am so ready to have these babies though. I have my hospital bag packed (and know which hospital I can go to), I ordered a portable breast pump through insurance, and rented a hospital grade breast pump to keep at home. On top of all the pregnancy chaos, we are trying to prep our condo to get listed next week because our new house may be done a little earlier and we need to make sure the condo is sold before we can close on the new house. All the cleaning and organizing we have to get done this weekend may be just the ticket to put me into labor. I’m trying not to think too much about it because we now have an official end date in sight, although I would much prefer to go into labor on my own, but I haven’t had any contractions since my last appointment. T-minus 4 days! Whew. I’m exhausted just thinking about it. When you promise to carry babies. You mean it ! All the way! Great job. Love you so much! Very proud!